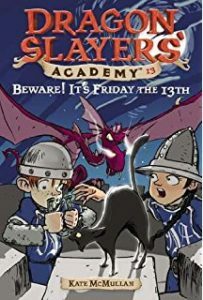 The Dragon Slayers Academy is a fantasy adventure series perfect for beginner chapter-book readers. 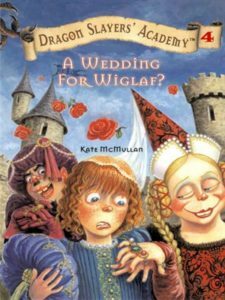 The unlikely hero of the series is Wiglaf, the soft-hearted, oft-bullied youngest of a large, poor family. Wiglaf does all the work and gets picked on because he won’t kill any living thing. 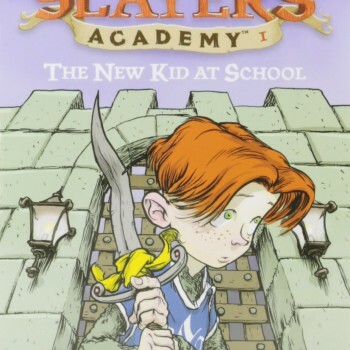 In the first book, The New Kid At School, a traveling minstrel befriends Wiglaf, giving him a magic sword (which he can’t remember the magic code word for) and telling him that if he performs a gallant act he will become a great hero. 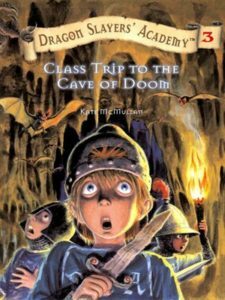 Wiglaf then finds a Dragon Slaying Academy offering exactly the kinds of courses to help him on his way. 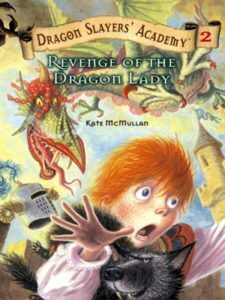 Life there isn’t much easier than at home – especially when he is sent to slay the local dragon and finds that his magic sword won’t work. Luckily – in a very Monty Python-esque scene – he discovers that the dragon can’t stand bad jokes and he duly slays him with a few choice bad jokes. Suddenly Wiglaf is a hero and not a drop of blood is spilt. 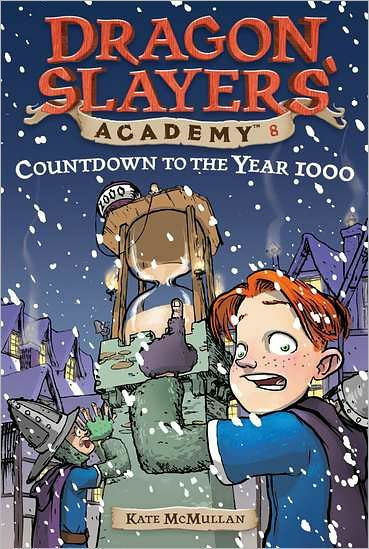 There are 20 books in the series and they all offer an easy, fast-paced read perfect for reluctant or beginner readers. 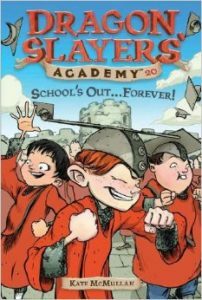 The slapstick, jokes and insults (dissing) will delight your 7-9 year old reader. Simple black and white illustrations by Bill Basso add to the ease of reading. 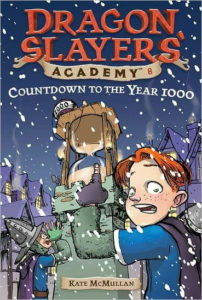 Categories: 7-9, Adventure, and Fantasy. Tags: Adventure fantasy series, Bill Basso, Easy chapter book, Kate McMullan, and slapstick humour.